1 Set up an account. It's only £25 for 12 months unlimited access. Or £75 if you want email support too. Sign up now. 2 Click on the Admission Calculator and select your school. 3 Put in your address. 4 Choose your admission rule from the list that pops up. 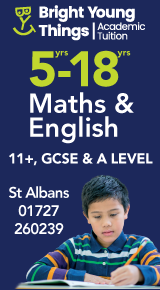 5 Get an instant report and see whether you would have got a place at your favourite Hertfordshire schools. 6 Get support and advice – clear and honest answers to your admissions and appeals questions. Go on, have a play. Then sign up to get your results. Haven't got the school you wanted? 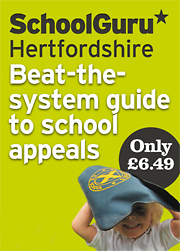 SchoolGuru’s Hertfordshire Beat-the-system guide to appeals will help you through the difficult months ahead. Our appeal guides have been updated for to cover the revised School Admission Appeals Code. Read our answers to your appeals queries in the Q&A section and ask us for advice. We're in the process of obtaining and analysing the 2019 data - it will go up on the site asap. Hope you got the school you wanted. Nope? Well, if you're a member, we'll try to help, so drop us an email. Serious about stats: Read our five point promise and find out about SchoolGuru’s SHOW US A BETTER WAY data innovation award from the Cabinet Office.